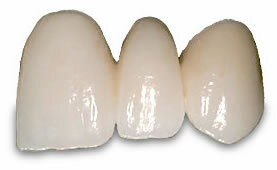 Zirconia is a proven alternative to both PFM technology and older-generation, technique-sensitive all-ceramics. Zirconia’s versatility makes it ideal for anterior or posterior single-unit or multi-unit bridgework. Cementation can be done with conventional or adhesive material. e.max® ZirCAD technology delivers high-strength and lifelike, natural beauty. Because of its strength, the material is suitable for the fabrication of crowns and (up to 6-unit) bridge frameworks in the anterior and posterior region, as well as for implant superstructures, and minimal-prep veneers.